Biotechnology graduate of the Warminsko-Mazurski University and Postgraduate Studies at the Warsaw School of Economics. He enjoys many years of experience in building business and managing the development of companies at various stages of development. He specializes in strategic management, i.e., in formulation and implementation of corporate development strategies, value building, business process planning and improvement, and in implementation of business models. He is an expert in private sector development at emerging markets, his international experience comes from the Private Sector Liaison Officers Network to the World Bank Group (PSLO Network http://www.worldbank.org/business-global) he worked for the World Bank Group (WB, IFC, MIGA). He is a specialist in measuring quality factors and impact of intangible assets on financial performance of companies – using the methodology of the London School of Economics, Fraunhofer Institut of Berlin. He was an expert of the Polish Confederation of Private Employers and advisor to Polish Information and Foreign Investment Agency. Currently he is an advisor to Polish Chamber of Commerce. He was a member of teams appointed by the Ministry of Science and Higher Education that evaluated projects submitted to the following programmes: “Creator of Innovation – Support to Innovative Academic Entrepreneurship” and “Patent Plus – Support to Invention Patenting.” He is a Board Member at the New Media Foundation, where he is involved in cooperation with scientific and technology parks. Associate of the major business angels network i.e., EBAN (European Business Angels Network) and Lewiatan Business Angels from its onset. 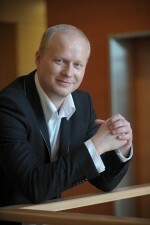 He worked as an investment director for the investment company with investment target on companies quoted on NewConnect (http://www.newconnect.pl/?page=root_en) a market financing the growth of young companies with large growth potential, organized and operated by the Warsaw Stock Exchange. Investor to various seed and startup companies from ICT and science sectors. He is a member of the supervisory board for several new technology companies and investment companies.